Support is responsive and will be tailored to meet your company needs whether this is regular on-going services or ad-hoc stand-alone tasks. Existing contacts within the Maritime & Coastguard Agency and Lloyd's Register make us well placed to research, undertake and submit a range of UK Flag and Class required documents, seeing these submissions through to approval. 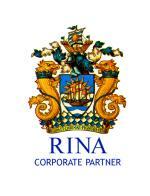 H2NA takes pride in providing the highest quality, professional service using RINA Registered Chartered Engineers. Significant experience has been gained in the commercial and naval sector with senior staff additionally Members of the Royal Corps of Naval Constructors in recognition of experience gained within the UK defence industry on MoD vessels. For a no obligation discussion please contact H2NA to discuss your specific needs or to arrange a visit to your offices.